•Facility and Building Management Services: Manages the Mechanism’s office compound as well as other occupied premises in Tanzania and Rwanda in all its facets, including but not limited to ensuring the continuous operationability of all utilities and major facility systems, maintenance of facilities and amenities, facility improvements, and space planning and usage. •Asset Management: Ensures effective and timely supply of items under GSS area of responsibility, incorporating requisition, receipt, storage, issue and the management and maintenance of supply non-expendable inventory, and its accountability; Prepares claims and write-off cases for the Property Survey Board; ensure smooth operation of Receipt and Inspection, and property disposal functions; ensures regular and timely inspections of all Mechanism-owned equipment as per UN rules and regulations. •Protocol, Shipping and Logistics: Ensures smooth operation of the mail and pouch registry function, air and sea freight shipping requirements, customs clearances, VAT processing, arranging of visas, residency permits, driving licenses and other local permits, as required. •Transport: Ensures maintenance of transportation fleet, availability and suitability of vehicle transport service with associated technical support to enable all components perform their duties effectively and in a timely manner. 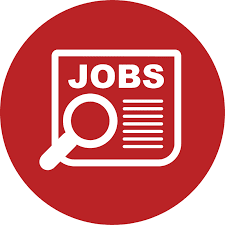 •Serves as a reporting officer of Mechanism-Arusha staff members assigned to the above-mentioned areas. •Manage all GSS contracts and general ledger accounts, including but not limited to monitoring expenditure against contract values and fund availability, raising obligations and extending or soliciting for new contracts in a timely manner, and strategically plan the use of available funds throughout the budget period. •Based on past expenditure and future requirements, provides detailed and reasoned budgetary input into the Mechanism’s budget submissions. •Professionalism – Knowledge of a majority of general services areas (including facility/building maintenance, transport, logistics, asset management, contracts management) including related policies, processes and procedures, of which knowledge of facility/building maintenance and property management are a must. Shows pride in work and in achievements; demonstrates professional competence and mastery of subject matter; is conscientious and efficient in meeting commitments, observing deadlines and achieving results; is motivated by professional rather than personal concerns; shows persistence when faced with difficult problems or challenges; remains calm in stressful situations. •Accountability – Takes ownership of all responsibilities and honours commitments; delivers outputs for which one has responsibility within prescribed time, cost and quality standards; operates in compliance with organisational regulations and rules; supports subordinates, provides oversight and takes responsibility for delegated assignments; takes personal responsibility for his/her own shortcomings and those of the work unit, where applicable. • Client Orientation – Considers all those to whom services are provided to be “clients” and seeks to see things from clients’ point of view; establishes and maintains productive partnerships with clients by gaining their trust and respect; identifies clients’ needs and matches them to appropriate solutions; monitors on-going developments inside and outside the clients’ environment to keep informed and anticipate problems; keeps clients informed of progress or setbacks in projects; meets timeline for delivery of products or services to client. • Managing Performance – Delegates the appropriate responsibility, accountability and decision-making authority; makes sure that roles, responsibilities and reporting lines are clear to each staff member; accurately judges the amount of time and resources needed to accomplish a task and matches task to skills; monitors progress against milestones and deadlines; regularly discusses performance and provides feedback and coaching to staff; encourages risk-taking and supports creativity and initiative; actively supports the development and career aspirations of staff; appraises performance fairly. – Advanced university degree in Engineering, Architecture, Business Administration, Logistics, Facility Management, Asset Management, or related field. A first level university degree in combination with two years of qualifying experience may be accepted in lieu of the advanced university degree. – A minimum of five years of progressively responsible experience in project engineering, facility/building management, property management, logistics, contract management, architecture, or related field. Experience working with an ERP system, (such as Umoja/SAP) may be an advantage. Experience in facility management, electro-mechanical or structural engineering may be an advantage. Experience as a certifying officer may be an advantage. Experience managing staff may be an advantage. – English and French are the working languages of the Mechanism. For the post advertised, fluency in oral and written English is required. Working knowledge of French and/or Kiswahili may be an advantage. – There may be a written assessment followed by a competency-based interview. – The appointment is limited to the Mechanism for International Criminal Tribunals. Appointment of the successful candidate on this position will be limited to the initial funding of the post. Extension of the appointment is subject to the extension of the mandate and/or the availability of funds. As the international tribunals are not integrated in the Secretariat, UN Staff Members serve on assignment or secondment from their parent department/office if selected. Appointments of staff members in the United Nations are subject to the authority of the Secretary-General. Staff Members are expected to move periodically to new functions in accordance with established rules and procedures, and may in this context be reassigned by the Secretary-General throughout the Organization based on the changing needs and mandates. 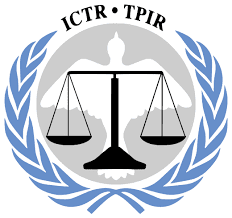 This position is located in the Immediate Office of the Registrar of the International Residual Mechanism for Criminal Tribunals (IRMCT), Arusha, Tanzania. The incumbent will work under the supervision of the Chief of Registry, Immediate Office of the Registrar, Arusha Branch. •Processes, handles and maintains records of the correspondence addressed to and from the Registrar and his Immediate Office. •Maintains up-to-date files both paper and electronic including those of correspondences, rules, regulations and administrative instructions. •Places and screens phone calls in a discretionary manner. •Drafts routine correspondence in respect to the activities of the Immediate Office of the Registrar. •Drafts reports and minutes of meetings. Takes and transcribes dictation on various subject-matters as well as types various documents and correspondence. •Follow-up on behalf of the Immediate Office of the Registrar with Officers of the Host Country and other Member States in accordance with the instructions received. •Maintains leave records and prepares monthly attendance reports of the staff of the Immediate Office of the Registrar in Arusha. •Performs other related administrative duties, as required (e.g., operational travel programme; physical space planning; identification of office technology needs and maintenance of equipment, software and systems; organizing and coordinating seminars, conferences and translations). •Acts as personal assistant to the Registrar and his immediate staff, when requested. •Professionalism – Ability to perform a broad range of administrative functions, promptly and with precision. Excellent organizational and follow-up skills. Experience dealing with confidential information/documents. Excellent knowledge of UN office practices/procedures. Shows pride in work and in achievements; demonstrates professional competence and mastery of subject matter; is conscientious and efficient in meeting commitments, observing deadlines and achieving results; is motivated by professional rather than personal concerns; shows persistence when faced with difficult problems or challenges; remains calm in stressful situations. •Planning and Organising – Develops clear goals that are consistent with agreed strategies; identifies priority activities and assignments, adjusts priorities as required; allocates appropriate amount of time and resources for completing work; foresees risks and allows for contingencies when planning; monitors and adjusts plans and actions as necessary; uses time efficiently. – High school diploma or equivalent. A university degree or additional training in Administration, Business Administration or related field would be an added advantage. – Minimum of eight (8) years of experience in administrative services, preferably with senior officials of the United Nations. Relevant experience in a judicial setting is desirable. – English and French are the working languages of the IRMCT. For the post advertised, fluency in oral and written English is required. Working knowledge of French and/or Kiswahili is an advantage. – There may be a technical test followed by a competency-based interview.